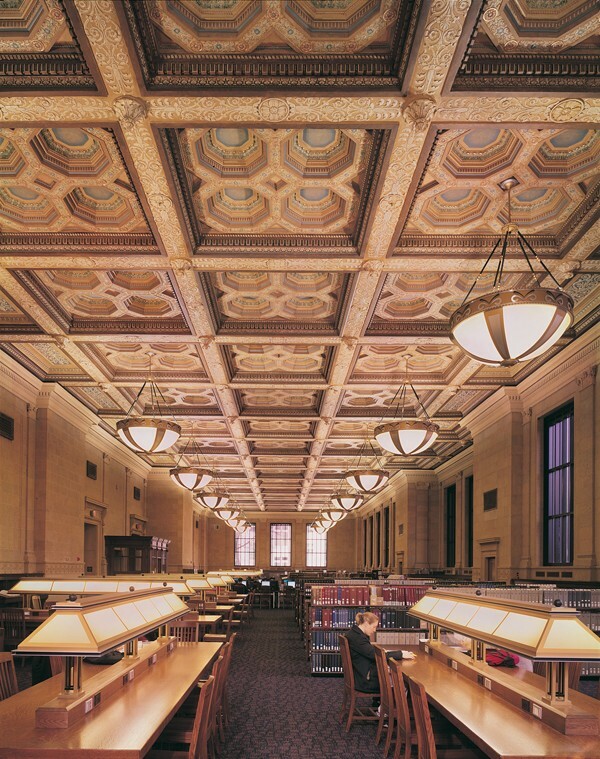 The newly-restored, 1924 Walter Library at the University of Minnesota, Minneapolis, has become home to the latest digital technology, in a distinguished marriage of the old and the new. 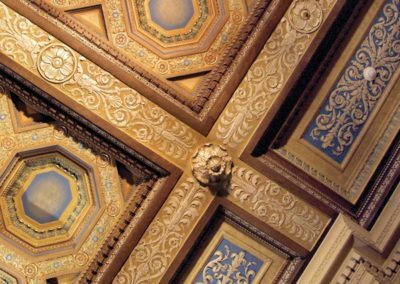 The highly successful renovation of the campus landmark—now the Walter Digital Technology Center—took more than two years and cost a total of $63.4 million. 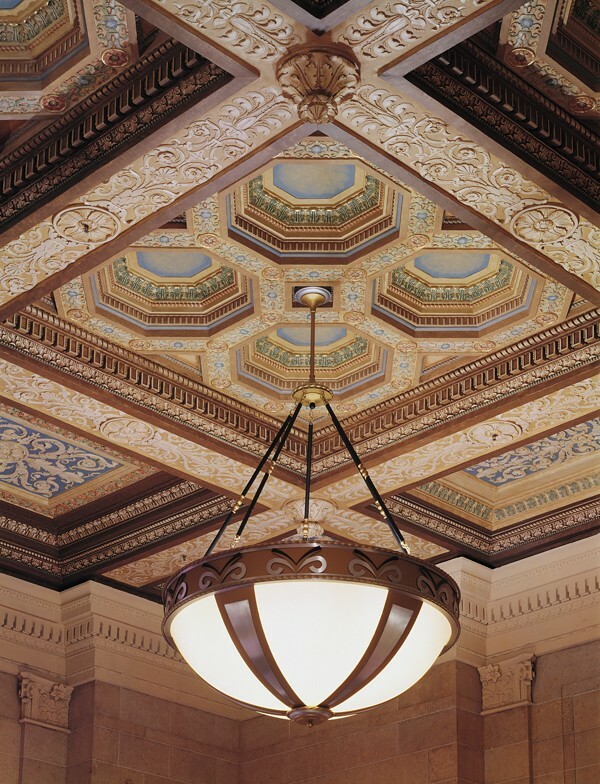 Conrad Schmitt Studios worked with project architects Drew Bjorklund and Bill Beyer of Stageberg Beyer Sachs, Inc. to provide restoration of the ornamental plaster and decorative painting for the building’s public spaces, as well as the replication of barrel-vaulted, overhead lighting to comply with current building safety codes. 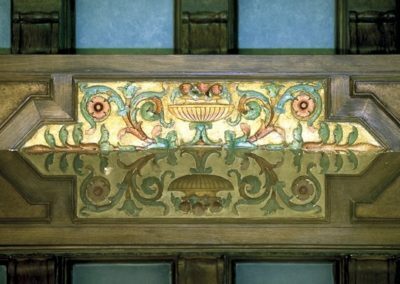 CSS’ involvement with the project began in 1998 with an investigation, analysis and documentation of the original decoration. 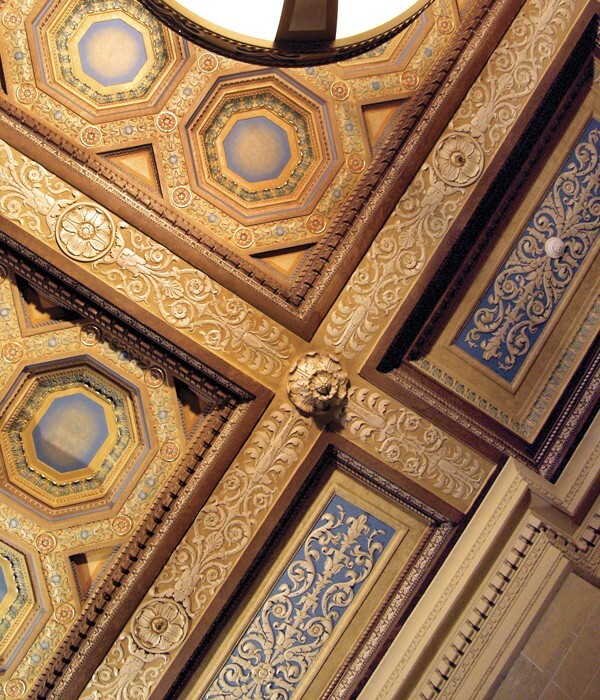 Subsequent work centered around the 25-foot high, ornate, polychromed ceilings articulated with octagonal coffers in the Lobbies, Main Reading Room and several other areas of the Roman Renaissance building. 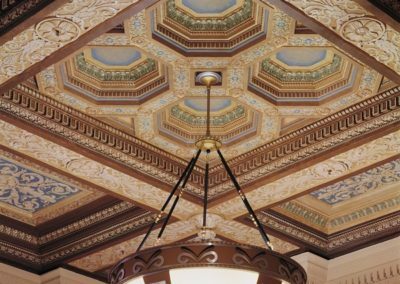 Molded plaster ornamentation that had been damaged, including ceiling coffers and faux cornices, was repaired or re-cast. Damaged flat plaster was restored using a fiberglass reinforcement system. 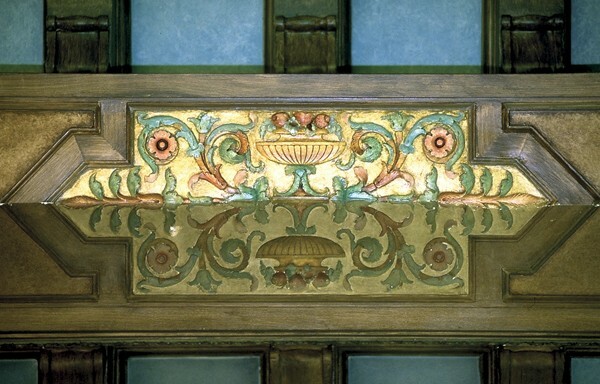 Artisans from Conrad Schmitt Studios spent more than 18,000 hours on the decorative restoration over a one-year period. 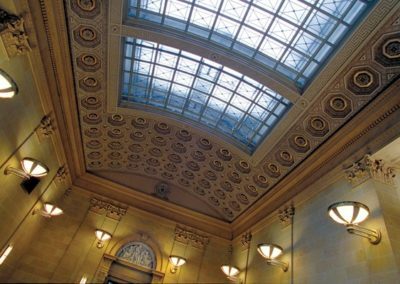 The Studio was also responsible for the replication of 1,920 square feet of overhead “lay-lites” that resemble skylights in the Grand Lobby. 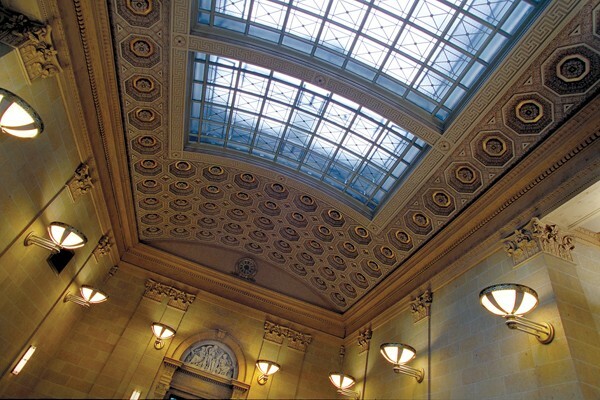 The light coverings were redesigned to comply with safety codes, while maintaining the character of the original glass. 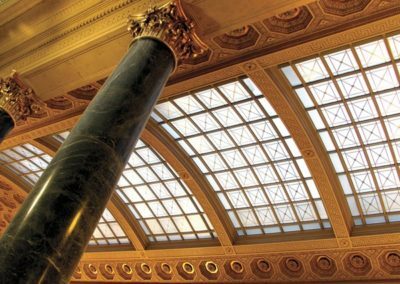 Laminated safety glass was created to resemble the original, then set into a modified metal structure that emulates the original zinc matrix but meets code requirements. The renewed Walter Digital Technology Center is resplendent in its restored historic character, and the magnitude of its beauty is matched only by its strengthened ability to serve the University in the Information Age.